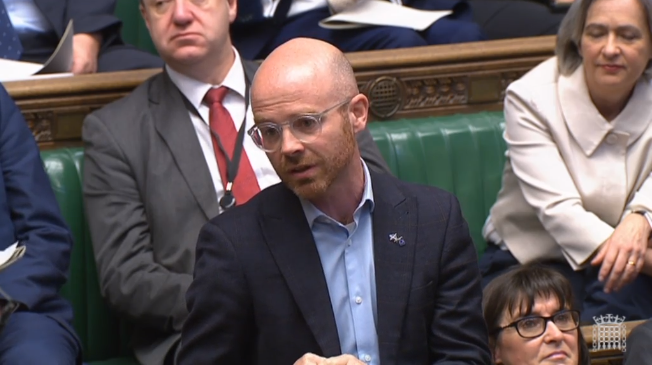 West Dunbartonshire’s MP Martin Docherty-Hughes has said the Prime Minister should “stop wasting time” and reiterated calls for the issue of EU membership to be put back to the people. The SNP MP said that Theresa May must use the six months EU withdrawal extension as a means to end the impasse over Brexit by holding a fresh EU referendum with the option to Remain on the ballot paper. The new agreed Brexit deadline of 31st October 2019 averts the possibility of the UK crashing out of the EU with no deal this week – a prospect which the UK government’s own Brexit analysis shows would be devastating to communities in Scotland. Local MP Martin Docherty-Hughes said that Scotland’s vote to remain in the EU has been ignored by Westminster in the three years since the 2016 referendum, warning Jeremy Corbyn that if the British Labour party acts as the midwives to a Tory Brexit they will never be forgiven in Scotland. “In 2016 West Dunbartonshire, like the rest of Scotland, voted overwhelmingly to remain in the EU. In the three years since then the UK government’s shambolic handling of Brexit has gone from bad to worse – and Scotland’s wishes and interests have been ignored every step of the way. “I have been clear that I will not support a damaging Tory Brexit that will be detrimental to the jobs and living standards of my constituents in West Dunbartonshire. “The extension to the Brexit deadline agreed with the EU offers a lifeline for the Prime Minister to find a way out of this mess. The SNP believes that the most sensible way to end the Brexit impasse is to bring forward a second EU referendum with the option to Remain on the ballot paper. “Another six months of Brexit limbo would be completely unacceptable – the Prime Minister should stop wasting time and use this extension to allow the people to make an informed decision on the best way forward. “The Labour party also claims to support a People’s Vote – but Jeremy Corbyn continues to sit on the Brexit fence out of touch with the people of Scotland. “As ever it’s being left to the SNP to stand up for Scotland – and we’re clear that we will not accept any Brexit deal cooked up by the Tory government and signed, sealed and delivered by the British Labour party.